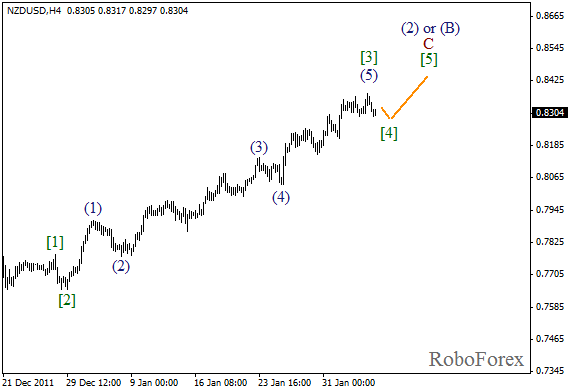 It looks like the price has finally finished forming an extension in wave , and started the fourth wave. Most likely, the correction won’t take much time, and the price will start moving again while forming wave  of C.
At the H1 chart we can see more detailed structure of an impulse in wave (5). 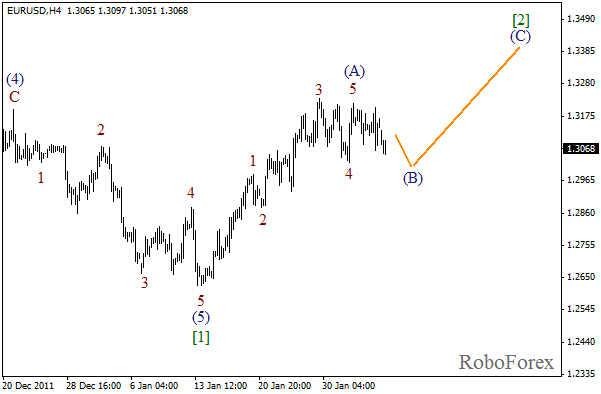 Currently the price is forming the fourth wave. It looks like the correction may continue on Monday. After that the price may grow inside the fifth wave. 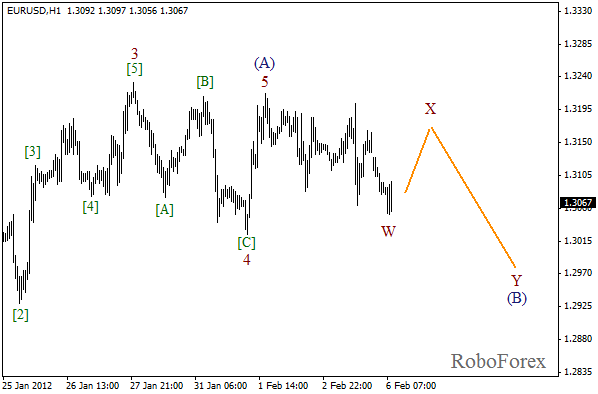 The price finished forming an impulse in wave (A). On the minor wave level we can see that the fifth wave has been completed reduced. Right now the correction is taking place, and it may continue during the day. In the future, most likely, the price will start growing up again while forming wave (C) of . 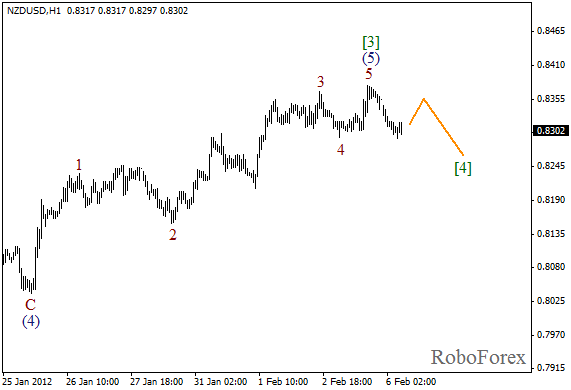 If we take a look at more detailed wave structure, which is shown on the H1 chart, we can see that wave (B) may take the form of double zigzag pattern. Most likely, the price will continue consolidating on Monday and Tuesday, but after that the bulls may start pushing the market upwards again. However, right now this growth is nothing but just a correction.